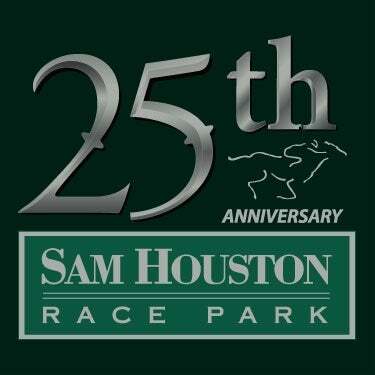 Seven of the nine races on opening night, are trials for the $35,000-added Sam Houston Derby. The fastest ten qualifiers of the 350-yard trials will advance to the final on Friday, May 3. 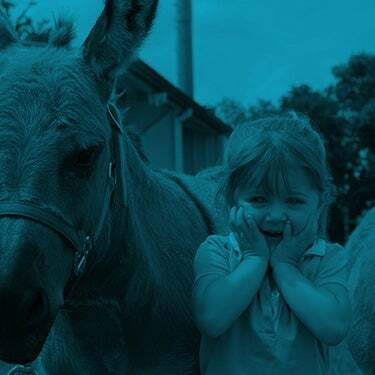 The fifth race on the card will showcase one of the top 3-year-olds in the region, Eysa Jess Jumpn. The daughter of Heza Fast Dash out of the Mr Jess Perry mare Jess Jumpn was purchased for a modest $11,500 at the 2016 LQHBA Yearling Sale by Jose Estrada Quarter Horses. As the fastest qualifier, she defeated a competitive field in the richest race of the Delta Downs Quarter Horse meet, the $700,000 Lee Berwick Futurity (RG1) and finished 2018 with a commanding win in the $100,000 Louisiana Champions Day Juvenile on December 9 at Fair Grounds. Eysa Jess Jumpn makes her Sam Houston debut with career earnings of $440,770, which is the highest of any 3-year-olds competing in Friday night’s trials. Rider Guadalupe Lucio, Jr. will guide the bay filly, who has been installed as the 4-5 morning line favorite in her trial. Trainer Leon Bard has seven horses entered including Woulda, a Tempting Dash gelding who broke his maiden one year ago at Sam Houston Race Park and finished fourth in the $479,000 TQHA Sale Futurity last July at Retama Park. Bred and owned by P and J Racing Ltd. and Denis Oscar Strobel, Woulda will run in the third race (first trial) under regular rider Francisco Calderon. P and J Racing Ltd. also owns LJ Moonrise, a filly by Separatist, who will run in the ninth race, and final trial on the card. She has won three of her six starts and makes her 3-year-old debut with $115,643 banked to date. The final trial also features $406,000 Dash for Cash Futurity champion Paint Me a Sinner. The daughter of Pyc Paint Your Wagon is owned by Claudia Avila and trained by Orlando Oroczco. She finished her 2-year-old campaign with three consecutive wins under jockey Ricardo Garza-Cruz. The same connections will run Zoomin Patriot in the seventh race. 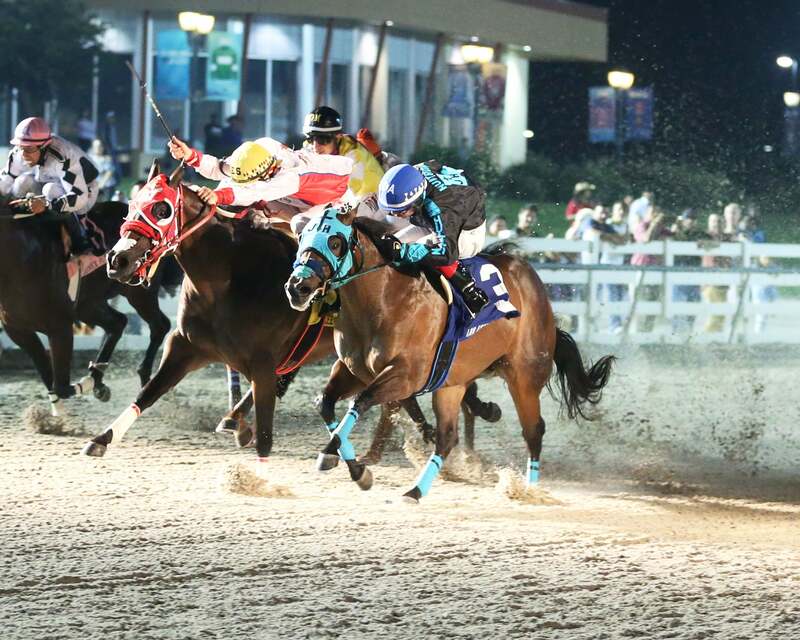 The gelding by Jet Black Patriot qualified for the final of the $700,000 Lee Berwick Futurity last July at Delta Downs. 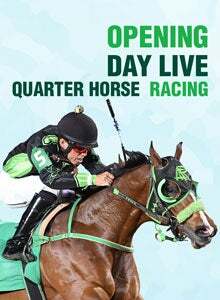 Sam Houston Race Park will host 15 trials at the distance of 330 yards on Saturday for the richest race of the 2019 Quarter Horse Meeting, the $100,000-added Sam Houston Futurity (G2). There will be an early post time of 4:00 pm to accommodate the additional races. The lone futurity winner in action on Saturday is Trump My Record who will run in the fifth trial. Eddie Sanchez stays aboard the colt, bred in Texas by Fulton Quien Sabe Ranches LP. He has already banked $116,852 this year and is a $7,500 supplement for the Sam Houston Futurity. The son of first-crop sire Apollitical Blood out of the PYC Paint Your Wagon mare Break N Records is owned by Cruz E. Nava and trained by his brother-in-law Arturo Davila III. Purchased for just $10,700 at the TQHA Yearling Sale, he was victorious in the $254,070 Harrah's Entertainment Futurity (G3) on March 20 at Louisiana Downs after setting the fastest qualifying time in trials on March 2. 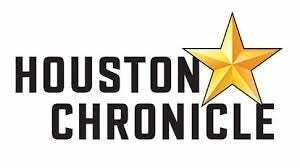 Trainers Davila, Leon Bard, Santiago Riojas, Jr., Jimmy Padgett, Jose U. Lopez and Robi Meche all have multiple entrants. Bard, who was the 2018 Sam Houston Race Park leading trainer, won the 2017 edition of the Sam Houston Futurity with This Is An Eagle. He will saddle 11 juveniles on Saturday’s card. Bard knew he had a sensational runner two years ago with This Is An Eagle. Pete Scarmardo bred the son of One Famous Eagle from the First Down Dash mare Lady Lilia. He was the sale topper at the 2016 TQHA Yearling Sale, purchased for $100,000 by Mary Lynne Thompson. “I had no doubts about that horse coming into the trials,” added Bard with a smile. This Is An Eagle was a career-defining mount for 2018 Sam Houston leading Quarter Horse jockey Francisco Calderon, who rides first call for Bard. One other exciting note on Saturday’s card will be the debut of the first crop of 2014 Sam Houston Futurity winner, Kiss My Hocks. Sam Houston fans cheered on the blazing chestnut son of Tempting Dash in 2014, when he set a new track record in his trial and did not disappoint as the favorite in the final. Owned by Tyler Graham and Conda Maze, Kiss My Hocks was trained by Toby Keeton and was honored as 2014 AQHA 2-year-old and champion 2-year-old colt. He began his stallion career in 2016 at Southwest Stallion Station near Austin, Texas and his colts and fillies are already getting considerable attention this year. The ten fastest qualifiers will return for the final of the Sam Houston Futurity on Friday, May 3. 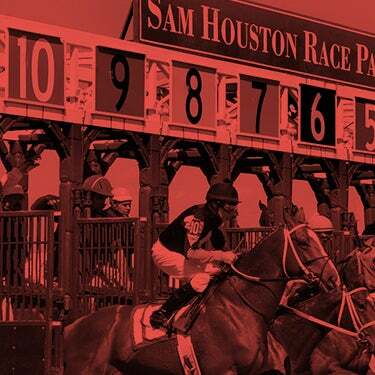 Sam Houston Race Park is Houston’s premier racing and entertainment facility, located just 15 miles from downtown Houston. The Park offers a variety of attractions including our Suite Level featuring luxurious suites overlooking the race track and accommodating groups from 20 to 300 people, The Pavilion Centre, and award-winning dining options at the Winner’s Circle Restaurant and the Jockey Club. For more information on upcoming shows, events and tickets, please visit www.shrp.com.